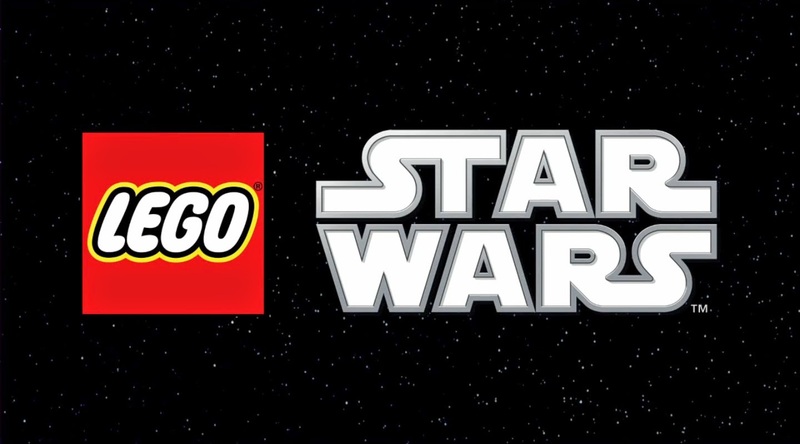 Lego announced at Toy Fair this past weekend the 32 new Star Wars sets it will be releasing this year. This includes the new Ultimate Collectors Series TIE Fighter and a new "Constraction Sets" (construction + action) line of toys (which are buildable versions of characters). The building sets come from all six current films, as well as the animated series' Star War Rebels and Star Wars: The Clone Wars, and the popular "Legends" video game The Force Unleashed. Six new LEGO sets help fans build the exciting adventures from the Disney XD series, Star Wars Rebels, five available now and one launching in June. Fans looking to build their collection of Stormtroopers will love the Imperial Troop Transport ($12.99), featuring four of the iconic troopers in minifigure form plus an armored transport pod. With Ezra’s Speeder Bike ($19.99), the young rebel hero and his confidant Sabine can outrun the Stormtroopers. In the ultimate expression of the power of the dark side, rogue rebels are tracked by the experimental TIE Advanced Prototype™ ($39.99), complete with folding wings for flight and landing modes, spring-loaded shooters and functional top hatch. Builders can search the streets of Capital City for rebels in the twin-legged AT-DP™ ($49.99), featuring Agent Kallus, a Stormtrooper and two AT-DP pilots. Fans can protect Wullffwarro and his Jedi friend, Kanan Jarrus, with the powerful Wookiee™ Gunship ($69.99), featuring movable front and top cannons, folding wings and two Wookiee minifigures. Fans can safeguard the security of the Senate with the elite Senate Commando Troopers™ set ($12.99), featuring a never-before-seen buildable rapid shooter plus Senate Commando Captain minifigure and three Senate Commandos. Or builders can support the clone army at the Battle of Geonosis with the Geonosis Troopers™ set ($12.99), featuring a walker, two Geonosis Clone Troopers and two Geonosis Airborne Clone Troopers. Builders travel to Coruscant to relive the epic lightsaber battle between Asajj Ventress and Anakin with Anakin’s Custom Jedi Starfighter™ ($39.99), featuring detachable escape pod, droid eject function, retractable front landing gear, lightsaber storage, four spring-loaded shooters and an Astromech Droid. All are available now. Fans can protect the Empire with the silent and mysterious Shadow Guards ($12.99 available now) by using their deadly lightsaber staffs, or call in the Shadow Stormtroopers if backup is needed. Star Wars: Episode I The Phantom Menace – Builders can relive the riveting battle scene where the Trade Federation tightens its grip on Naboo and the local Gungans must stop the advancing AAT™ (available now for $24.99). Includes Jar Jar Binks minifigure, Battle Droid and Pilot Battle Droid figures. An additional set launches later in the year. Star Wars: Episode II Attack of the Clones – Fans can build the Republic Gunship™ Microfighter to defend against the heavily armored Homing Spider Droid™ Microfighter ($9.99 each). To defeat the clone army on Geonosis, builders can assemble the Hailfire Droid™ ($19.99), featuring giant rotating wheels and four spring-loaded shooters. Reinforcements at the Battle of Naboo arrive in the Battle Droid Troop™ Carrier ($39.99), featuring detachable driver compartment, hidden wheels to help it glide, Gungan Warrior minifigure, two Pilot Battle Droids and 12 Battle Droids. All are now available. An additional set launches later in the year. Star Wars: Episode III Revenge of the Sith – Builders can choose sides and reenact the ultimate showdown to defend or attack the Republic. High above Coruscant flies the advanced ARC-170 Starfighter™ Microfighter, perfect for defending against the attack of the deadly Separatist Vulture Droid™ Microfighter ($9.99 each, available now). Star Wars: Episode IV A New Hope – Fans can swoop through the canyons of Tatooine chasing down womp rats and trying to avoid Tusken Raiders in the T-16 Skyhopper™ ($24.99, available now), featuring adjustable wings, detachable storage box and dual spring-loaded shooters, Skyhopper Pilot and Tusken Raider minifigure. Star Wars: Episode V The Empire Strikes Back – Builders can relive one of the most exciting battles in the entire Star Wars universe as they speed over the icy planet of Hoth in the agile Snowspeeder™ Microfighter to protect the Rebel Alliance and assault the Rebel base with the AT-AT™ Microfighter. Both are available now for $9.99. Star Wars: Episode VI Return of the Jedi – Two exciting sets launch later in the year. 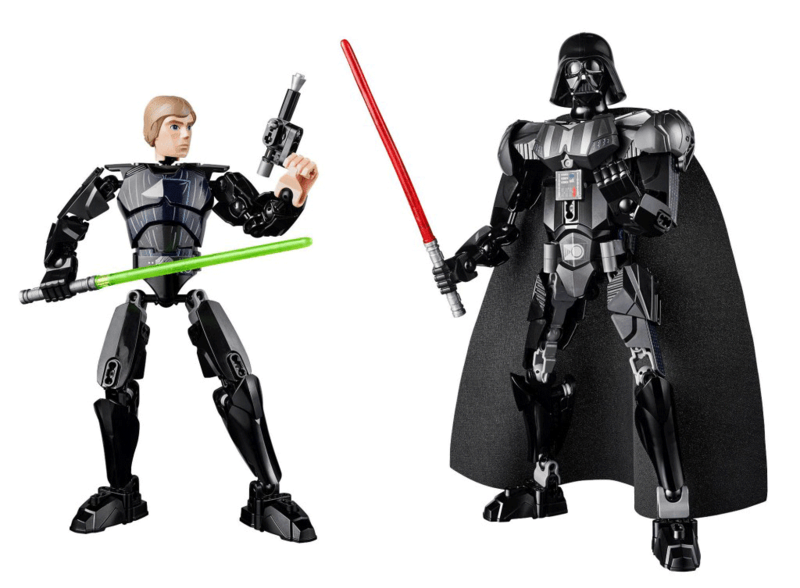 Expanding the way children can build and play within the Star Wars universe, the company also unveiled new constraction – constructable figures – sets featuring, among others, Darth Vader and Luke Skywalker ($19.99 and up in September). Additional constraction figures in the collection will be unveiled throughout the year. Builders can assemble and pilot an unbelievable detailed replica of the iconic Slave I™ spaceship owned and piloted by the infamous bounty hunter Boba Fett™. With 1,996 pieces, this set will inspire fans to search the galaxy for fugitives using the realistic rotating cockpit and wings for flight and landing mode along with dual blasters to repel attackers, then reenact the capture of Han Solo™ in Bespin’s Cloud City. Includes minifigures of Boba Fett™, Bespin Guard™, Stormtrooper™ and Han Solo™ and is available now for $199.99. Post by Lego Star Wars Style and Beyond. The good folks over at ComicBook.com has a comprehensive gallery of all the set announced, check that out here. I have to say, it was nice to see such a good showing from Lego, especially since Hasbro failed to show much of interest. Lego has been doing an excellent job with the Star Wars brand and you can bet they have big plans for when The Force Awakens is released as well.